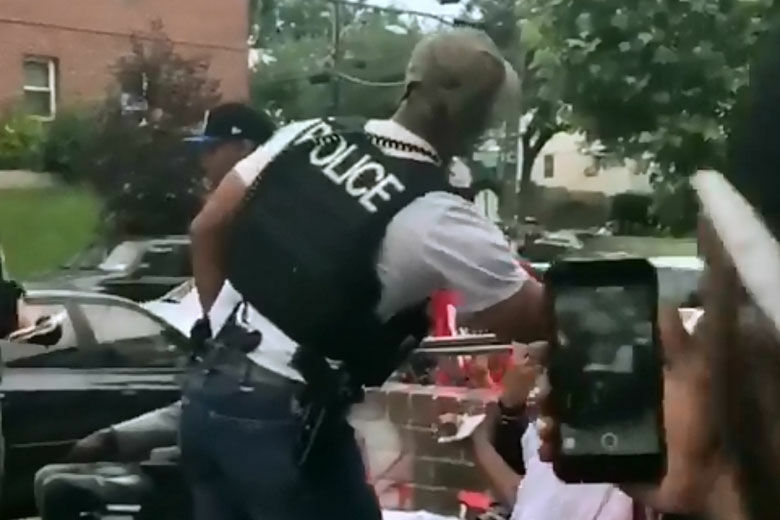 WASHINGTON — An advisory neighborhood commissioner is accusing the D.C. police of having conducted an illegal stop-and-frisk in the District last week. In a letter to Police Chief Peter Newsham, Advisory Neighborhood Commissioner Anthony Lorenzo Green said police pulled up to Nook’s Barber and Beauty Salon and Little Jewels Child Development Center, both in the area of Sheriff Road and Eastern Avenue in Northeast, last Friday. At each location, he said, police searched a man and confiscated a firearm. Commissioner Green said that man was an undercover officer, and that when police found he was armed, they used it as grounds to search all of the men nearby. “As they’re [roughing] up these guys, the young man that initially started this, he’s allowed to calmly walk away down the street. This has to stop,” Green said. In a video posted to social media, an exchange between police and the men can be heard as they clash over the incident. “It’s reasonable for everyone out there to say he’s the one with the weapon, you need to deal with him, you need to arrest him, take him away. We’re not the ones with the weapons. This is really changing the way the police are dealing with our communities,” Green said. Newsham has since responded and is fully committed to investigating the incident. The chief said in his response that unbiased policing is always the goal. None of the men searched was armed or arrested. Green is now demanding a public apology.